StreetSine™ Technology Group is a subsidiary of Singapore Press Holdings (SPH), Singapore's largest media organization with businesses in print, Internet and new media, television and radio, outdoor media, and property. StreetSine Technology Group is an information provider to the real estate industry and related institutions, including Monetary Authority of Singapore (MAS), SingTel and National University of Singapore (NUS). Government agencies, universities, and research organizations rely on StreetSine's trusted information to evaluate and determine policy. StreetSine is an innovative software company that integrates big data sets with mobile workflow applications to help real estate-related organizations and professionals employ real-time, relevant, proprietary information in the development and marketing of their products and services. Additionally, StreetSine continues to work closely with government agencies, universities, corporations, and SMEs to refine our digital, mobile real estate ecosystem to the benefit of both the private and public sectors. Joint public-private projects have included developing digital networks, applying geospatial applications to real estate, and building an automated property valuation system. The latter gave rise to the X-Value™ and X-Listing Price™, a price clearing mechanism for the real estate market. 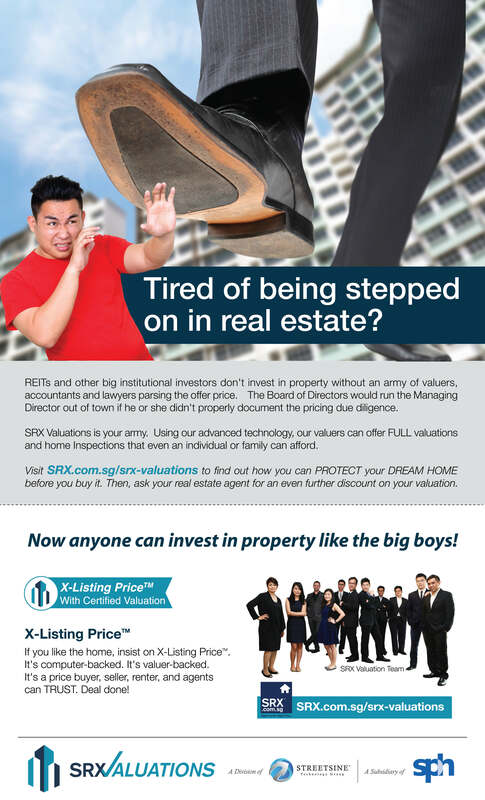 SRX Property manages and operates the Singapore Real Estate Exchange (SRX™) and STProperty.sg. Each exchange is a digital platform that provides the property market with computer-generated pricing, listing services, lead generation, FULL Valuation services and integrated applications for property-related professionals (i.e., agents, bankers, and lawyers) to provide their services to buyers, sellers, landlords, and tenants.